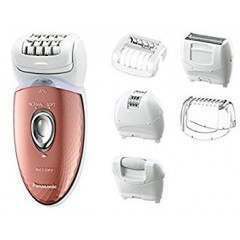 4-in-1 Epilator. Care for the Whole Body - Four attachments remove unwanted hair from legs, arms and bikini line. 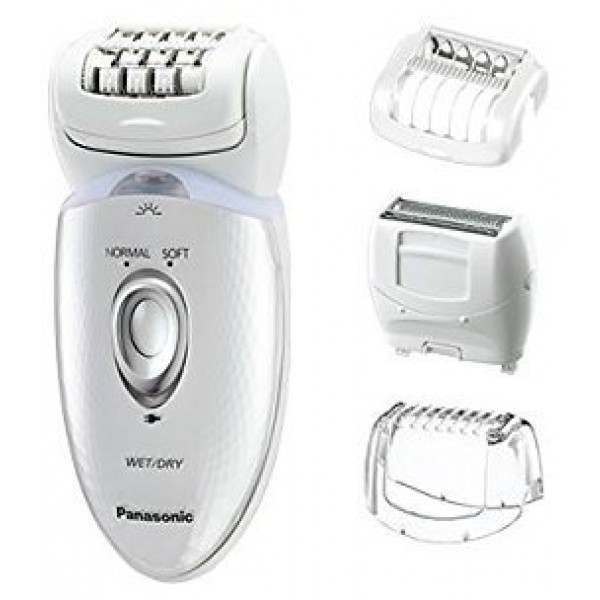 Effective Epilation - The two hair removal discs and the 48 tweezers effectively remove unwanted hair, ensuring a smooth and long lasting result on your skin. 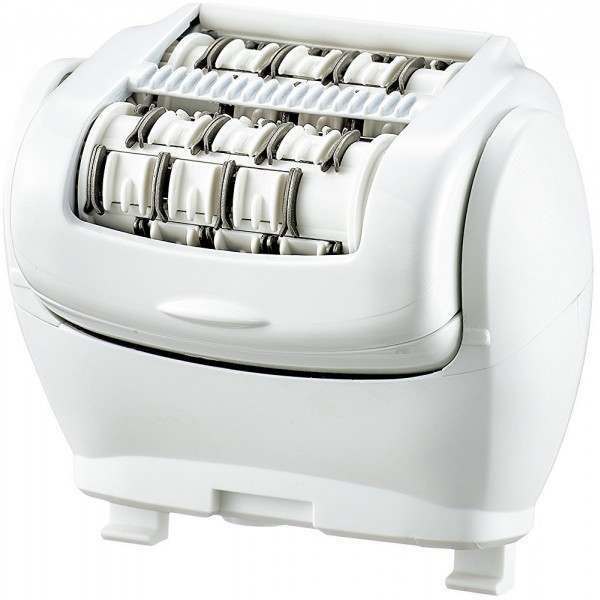 60° Flexible Pivoting Head - The 60° flexible head follows the natural contours of the body to provide optimum epilation for beautifully smooth results. 48 tweezing discs never come in contact with the skin, providing less pain and irritation, cuts or abrasions, even on the most sensitive skin. 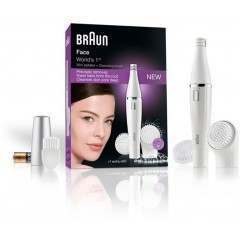 Smooth Epilation with Moistening Foam - Epilate gently and protect your skin. Pour shower gel directly onto the head to make foam. Use in the bath to warm and soften the skin and remove hair gently. 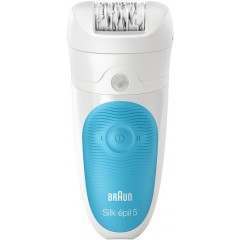 The special skin protector holds skin in place, so that the epilator pulls only the hair and not the skin. 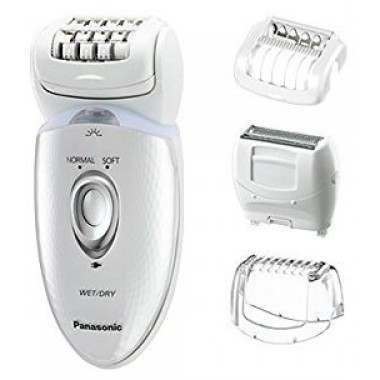 Panasonic ES-ED53 ensures a painless and long lasting epilation. 2 speeds with soft mode - Operation will change in order from "NORMAL"?"SOFT"? "OFF" each time the power switch is pressed. 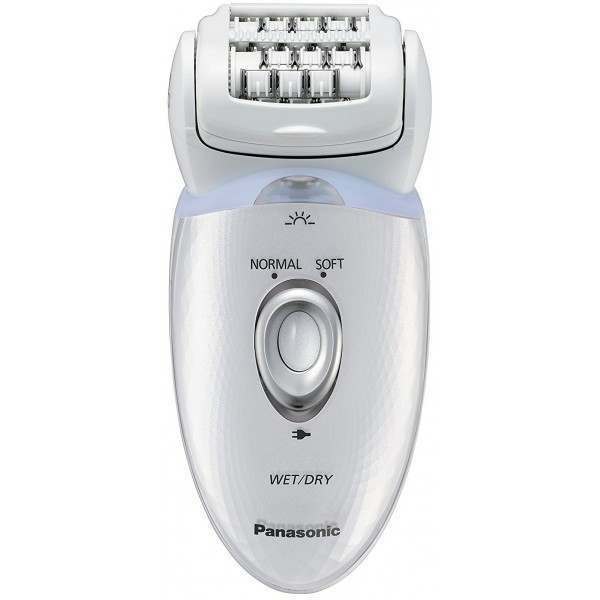 Can thoroughly recommend this as an excellent epilator (wet & dry use). I haven't used the other heads yet but expect them to be as efficient. Would recommend this product. 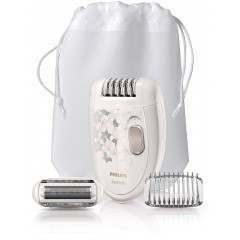 I haven’t had an epilator for a few years now so expected a painful time to start with. However so far I’ve just done my lower legs and it was fast and pain-free. It charges up very fast too. Very fast delivery too.